Eloise Sbragia, tourist guide in Pisa had got the idea of creating a team among some of the best tourist guides in Tuscany. The constant requests of her customers to organize tours including all Tuscany led her to the idea of collaborating with colleagues of the most visited towns in our region. Now, our customer, with a sole mail or phone call can organize his complete tour throughout Tuscany. The “trait d’union” of the guides of “Pisaconguida” is professionalism, experience in the field of tourism, the good command of foreign languages and, last but not least, courtesy, essential element in dealing with people. Contact us, we’ll be happy to help you organizing your tours. 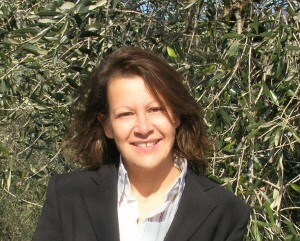 Eloise obtained her degree in Pisa, at the University of Foreign Languages and Literatures in 1994. She continued studying History of Art obtaining soon the license of “ Professional tourist guide in Pisa and Province”. Her passion, as well as contact with people, Middle Ages and the symbols hidden in the several sculptures of the Cathedrals.